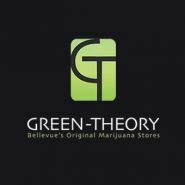 Green-Theory BelRed proudly serves as a sister store to Bellevue’s first recreational dispensary on the Eastside. Green-Theory has expanded its purview to serve more cannabis communities by opening a new set of doors to the inhabitants of Bellevue and beyond. The Green-Theory team abides by its customer-first philosophy by providing recreational marijuana consumers with top-quality, lab-tested cannabis products at affordable prices. Green-Theory’s dedication to catering to the needs of its guests knows no bounds, they’ll even price match their stock against other verified King County retailers. From its phenomenal cannabis products to its stellar customer service, Green-Theory BelRed is a trendsetter across Washington’s recreational marijuana scene. At this time, Green-Theory accepts cash only and offers two ATMs on their premises. They supply plenty of parking, and their price-matching guarantee (with King County dispensaries) keeps prices consistent and competitive for all customers. Green-Theory offers a 20% discount to all valid WA state medical marijuana card holders. They also offer a competitive customer loyalty program called Green-Elite with over 28k members to date which saves you 10% on your first purchase as a member and up to 35% off purchases as you accrue points. Learn more about Green-Theory's loyalty program by visiting our website! Green-Theory BelRed offers one-on-one consultations with knowledgeable cannabis coaches Monday through Thursday by appointment. Call to schedule today!